Piety? God? O beautiful, much misused words. I’m both when I have done my work in such a way that I can finally die. A painted or drawn hand, a grinning or weeping face, that is my confession of faith; if I have felt anything at all about life it can be found there. The war has now dragged to a miserable end. But it hasn’t changed my ideas about life in the least, it has only confirmed them. We are on our way to very difficult times. But right now, perhaps more than before the war, I need to be with people. In the city. That is just where we belong these days. We must be a part of all the misery that’s coming. We have to surrender our heart and our nerves, we must abandon ourselves to the horrible cries of pain of a deluded people. Right now we have to get as close to the people as possible. It’s the only course of action that might give some purpose to our superfluous and selfish existence–that we give people a picture of their fate. And we can only do that if we love humanity. Actually it’s stupid to love humanity, nothing but a heap of egoism (and we are a part of it too). But I love it anyway. I love its meanness, its banality, its dullness, its cheap contentment, and its oh-so-very-rare heroism. But spite of this, every single person is a unique event, as if he had just fallen from Orion. 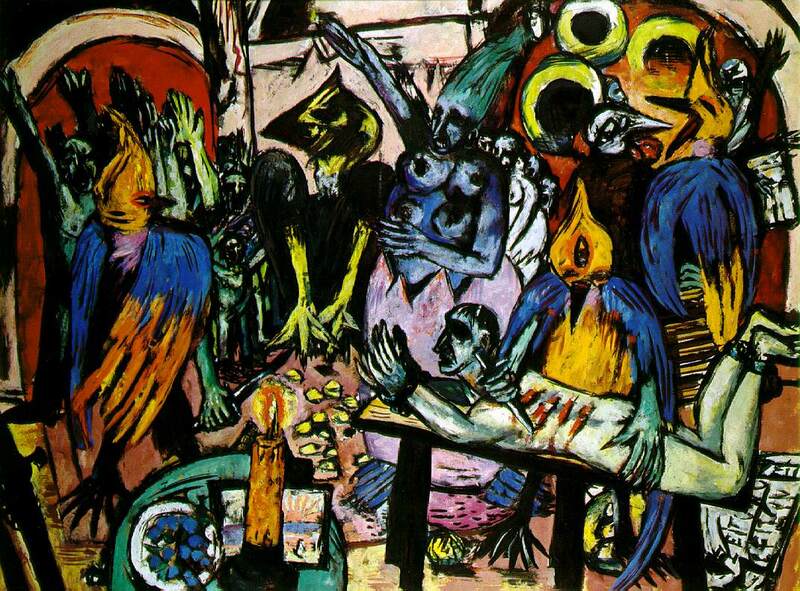 You might also like the video on Arttube (our video channel) about a work Max Beckmann made during the Second World War: ‘Portrait of the family Lütjens’ (1944). 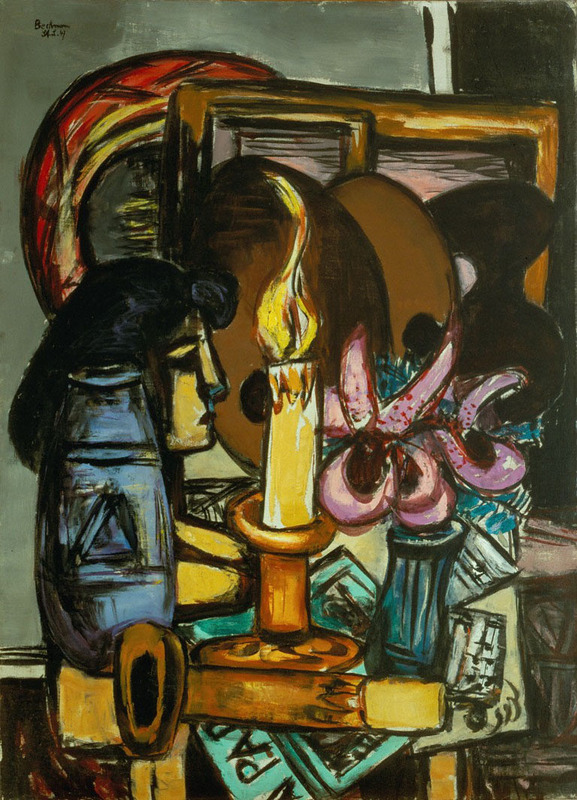 In this video Annemarie Lütjens tells the story of the painting and Max Beckmann, who was a good friend of her father.